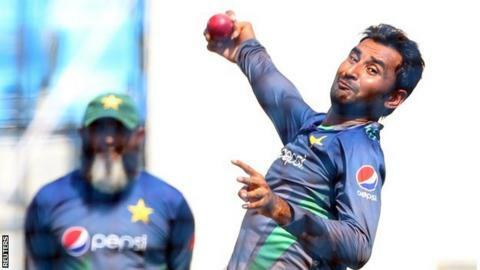 Pakistan off-spinner Bilal Asif can continue his international career after the International Cricket Council found his bowling action to be legal. The 30-year-old was reported for a suspect action following his second one-day international appearance against Zimbabwe earlier this month. Asif was recently called up to the Pakistan Test squad but did not play in the second Test win against England. Uncapped in Tests, he has only appeared in those two ODIs for his country. However, pace bowler Imran Khan's injury could mean a Test debut in the final Test at Sharjah on Sunday if Pakistan select him as a third front-line spinner. Asif's action was independently tested in Chennai, India, but all of his deliveries were found to be within the 15-degree level of elbow extension permitted by the ICC.